If you find yourself doing routine work repeatedly in ASP.NET MVC, it is worth exploring the possibilities that come from modifying or creating Editor Templates in Visual Studio. Templates can save you a lot of time when creating views or other default content. Nick Harrison explains. 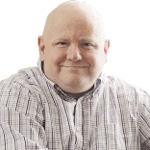 Editor Templates are one of the hidden gems in ASP.NET MVC. They greatly simplify the process of generating the Views by extending the separation between content and format. We can simply state that we want an Editor without having to stipulate exactly what form that editor should take. It’s a lot simpler to state that you want an Editor without having to say that you want a radio button or a drop down, or a plain text box. We may have a wide range of possibilities for an appropriate Editor. It is nice to hand that over to the framework to keep track of. Throughout this article we will reference and build on a simple AddressModel. 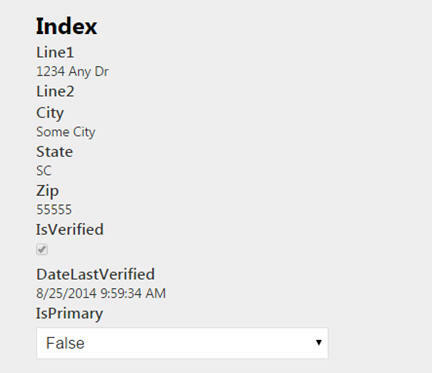 Because IsVerified is a Boolean property, MVC selected a check box for the editor and we get a drop-down with values of true,false , and not set for IsPrimary because it is a NULLable Boolean. These are two built-in editors that are native to MVC which we get without any extra effort. We can make other data types such as DateTime get their own custom editor, just by placing a partial View in the EditorTemplates folder under the Sharedfolder and naming it after the target data type. You will need to create this folder yourself since it is not automatically added to the project. … along with a snippet of jQuery code like this to associate the jQuery UI date picker to the class datePicker . … and when we click on the calendar icon we see the calendar. As we just saw, Visual Studio will use our date picker editor based on the data type. The framework matches the name of the data type to the name of the editor. Fortunately this is not the only matching that the framework does. Matching by data type alone would be too restrictive. Looking back at our model, we have a couple of properties of type string that could use a custom editor. We would like to have an editor for Zip Codes and one for specifying the State. 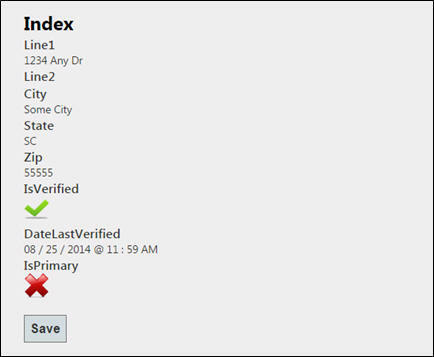 A Zip Code editor would limit input to digits and limit it to only 5 digits. A State editor would be a drop-down that lists out the valid states that the user could select. You can add an attribute to any property so as to give the framework a hint to point it in the direction of the correct editor. To find the right template name, it can not only base its match on the data type, the framework can also match on the value of the UIHint attribute that you add to a property.
" ", "GA", "NC", "SC", "VA"
With these editors in place our View looks a little different, but it will behave quite a bit differently. The state is now a drop down with the values listed in the Editor template. This is the most obvious change. The changes to the Zip are not visible, but based on the template, we are now capped at 5 characters and only the navigation keys and numeric keys will be accepted. Also with the State editor, you probably would not want to hard-code the values in the Editor. You would most likely retrieve them from the database. You may also want to make this data-access logic asynchronous. This is easily done by having the Editor add the script to make an AJAX call that will retrieve the list of valid values after the initial page load. 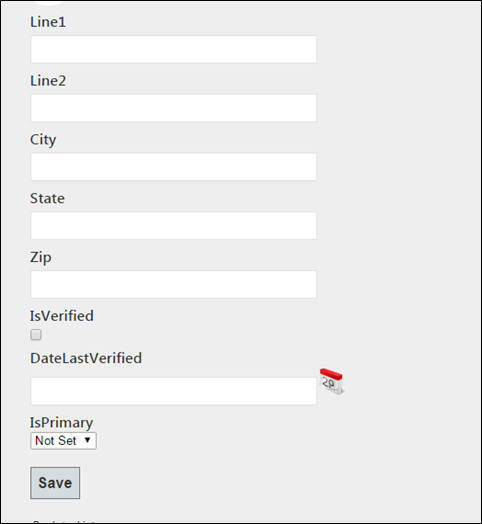 This is a great way to handle all types of drop down lists. Regardless of how simple or complex, you make your Editor, the View itself stays the same with a simple call to EditorFor(). As we saw earlier, Visual Studio will use our date-picker editor simply because the name of the editor matches the data type of the property. The same can happen if the editor’s name matches a more complex name like AddressModel . … or if we have a more complex Model using AddressModel as one of the properties, it now fits right at home. Consider a simple EmployeeModel that includes the AddressModel that we have been using. The evaluation of our editor templates happens recursively. Even though the AddressModel.cshtml was already in the EditorTemplates folder, it gets evaluated for more editor templates. Display Templates are similar to Editor Templates. Display Templates are intended just to display the value with no edit capabilities. Often this will take the form of a disabled control or a regular html label. Switching the EditorFor to DisplayFor in our earlier View, you can see that we get a mix of disabled controls and labels. My personal preference is to forego the disabled controls. 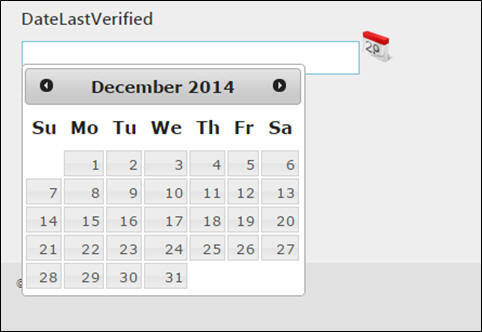 We will also apply some additional formatting on the date fields. Here we explicitly test the three possible states for the NULLable Boolean which will also cover the two possible states for the regular Boolean. Note that whether it is a NULLable or non NULLable value, it matches the filename Boolean . This works out well because none of the special characters used to specify a NULLable data type are valid for file names. Now let’s turn our attention to the DateTime Display Template. Quite often we don’t really care about the time part of the date time. Even in cases where we do care, we still may want to format it a bit differently then we see by default. We also may want to draw attention to missing dates. You may want to do something similar to format currency fields or percentages. You may chose to store phone numbers as just the numbers but want to include the formatting characters when you display them. You may want to explicitly strip out key pieces of personal identifiable information. There are many uses for being able to specify an alternate template for displaying values. Editor Templates make it easy to add more functionality to our pages, thereby enhancing usability. At the same time, they make it easier to build up our Views. We merely specify that we want an Editor without having to get bogged down in the details of what form that Editor should take. Also, once in place, they help to make the web application look and behave more consistently. Because we are only specifying that we want an Editor and allowing the framework to fill in the rest, we have fewer places where inconsistencies can be introduced. At the other end of the spectrum, we have Display templates to simplify displaying data with no edit capabilities. Display templates and Editor Templates follow the same matching rules for finding templates. Together they complement each other to bring consistency to both editing and displaying data in your web application. Hi, Nick, nice article, would you please add time picker for editor? I could not find any example for ASP.NET MVC. I agree with gchudublin that including a "time picker for editor" would make this article more complete. However, it’s really not that difficult to write one. Simply create a custom UIHint template called "TimePicker". In it, show three dropdown lists in: HH, MM, AMPM. Populate each dropdown list with appropriate values. Perhaps Nick can update this article to include this. I only got tripped up for a couple of minutes, but others might get stuck and give up. I have not yet been able to determine what I am missing. I am new to MVC as well as .NET, so any help would be appreciated. to the <head> tag. I also had to add in @Scripts.Render("~/bundles/jqueryui"). Once I did this the program runs and I get the datepicker. What were those pieces sir? Where they important mate? Will your example run if I am trying to do this myself? Or will I ended up with something that will not even compile? Should I continue reading the write up? Will I be more confused if because stuff is missing? I wonder what it was that Mr. Harrison left out? How do I find out what those elements are? I will continue to read your write up, but now I am doubtful I will try it because I know by your statement you may have left out some key bits that a beginner like me may need. I am prepared to continue my search for solution help. But Your statement jarred me a bit because a quick skim over of what you have posted looked so promising. Let me be clear… No one.. including myself expects a programmer to give away their hard earned knowledge for free. I do appreciate you sharing your knowledge with us. Hopefully the bits you left out are will not prevent the example from compiling and working. Thanks and again.. this rant is just that… because in reality you did not have to share any of your knowledge with us at all!